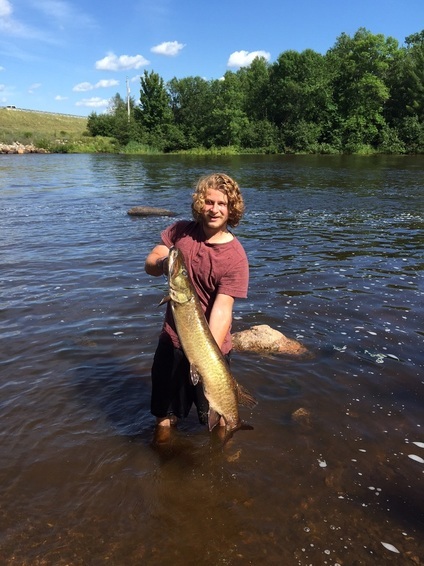 We offer year round fishing trips! After the trip, I will clean your fish for you and package the fresh fillets for the trip home. Shore Lunches are also available with the full day trips at a small additional charge. The boat I use is a 2016 Lund Alaskan 2000 (21 feet). It's powered by a new 2016, 115 horse power Honda that allows us to fish both small and large lakes. The other boat is a 17' Lund Rebel powered by a new 60 horse power Mercury. The boats are loaded with all of the latest equipment such as G.P.S. navigation units loaded with Lakemaster chips, a cellular phone to keep in touch, bow mount trolling motor, and of course--4 swivel air-ride adjustable seats for your comfort. The boats comfortably fishes up to 4 anglers each! Everybody that has fished in the boats have loved it! I have a 16 foot Raddison transom canoe and a Suzuki 3hp gas motor. Might use an electric motor on some lakes. This canoe does not tip or sink and we have landed 50 inch muskies in it! The small boat will be used on some lakes and rivers with a 9.9 Evinrude gas motor. Full day trips: are 8 hours on the water. Again I am flexible and we can leave as early as 5am and fish as late as 9pm. Let me know what works best for you. 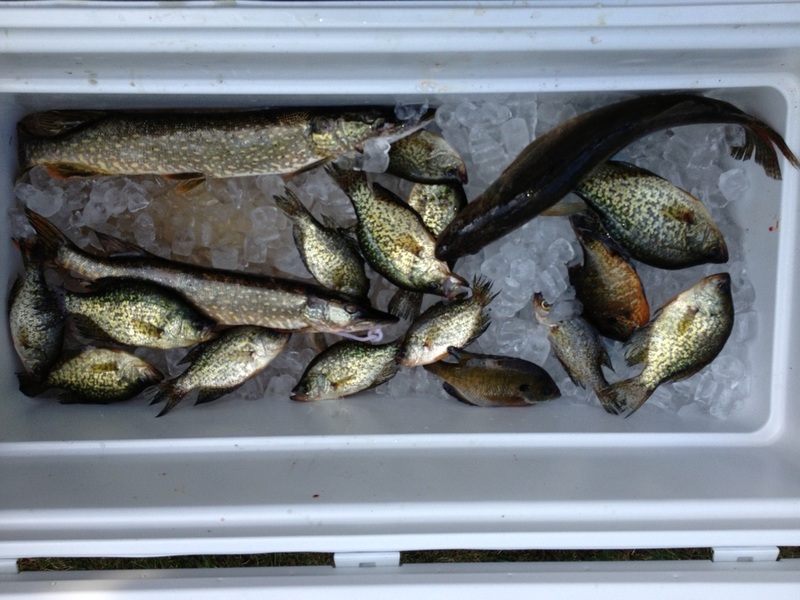 Ice Fishing: Shelter, heater, fishing equipment and bait included. Can accommodate up to 8 people. This is for those who really want to get off the beaten path and experience the beauty of the Northwoods at a whole new level! There are usually no boat launches, houses or lodges where we will be going. This will be a true wilderness experience and carry-in access only with canoes and small rowboats is the only way to gain access to the remote and pristine destinations we will be fishing. 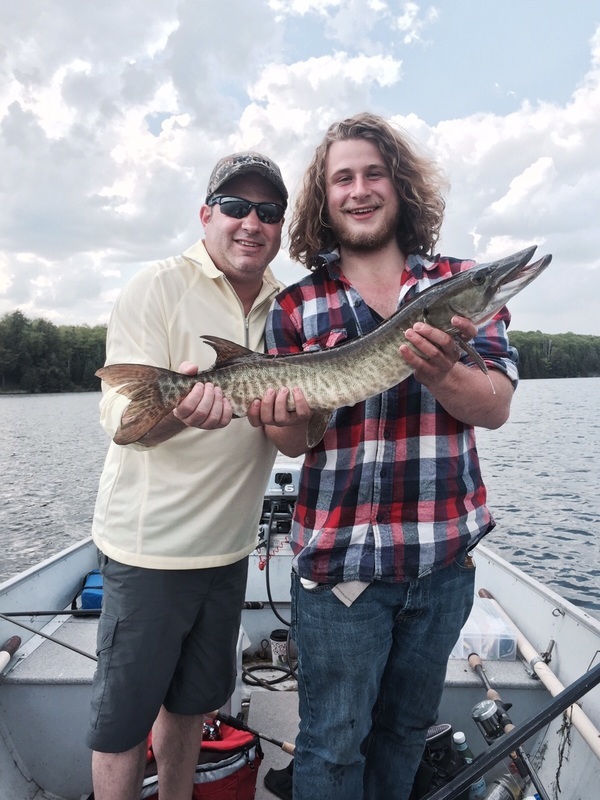 Whether you are after Musky, Walleye, Northern Pike, Small or Large Mouth Bass, or Panfish, I will lead you on an adventure to a well hidden lake or river that has it all! Although our fishing location will be on outback wilderness lakes or rivers, you will be outfitted with all the necessities you would find on a regular guided trip such as a portable depth-finder and top-notch equipment. 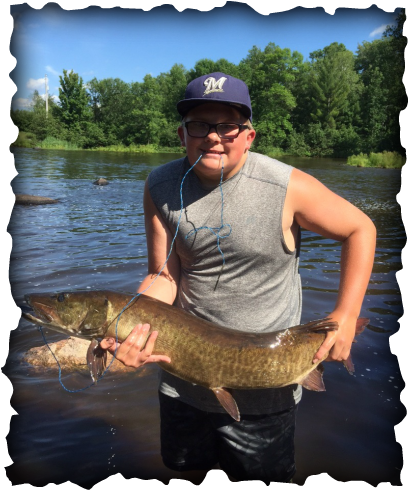 I guarantee that your Backwoods Fishing Adventure will be one of the most fun and exhilarating fishing trips you ever take!